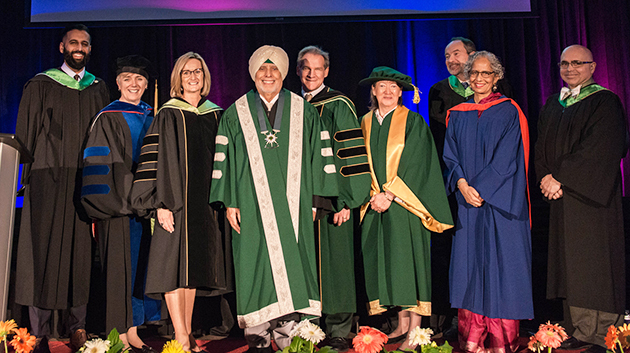 Nav Bains (Alumni Association Chair), Joanne MacLean (incoming President), Jackie Hogan (interim President), Chancellor Andy Sidhu, former Chancellor Gwen Point, Senate Vice Chair Gerry Palmer, South Asian Studies Institute Director Satwinder Bains, and University Secretary Al Wiseman at the Chancellor Installation ceremony. 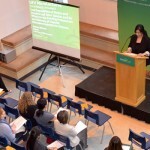 Drummers, dancers, and dignitaries were on hand on April 19. 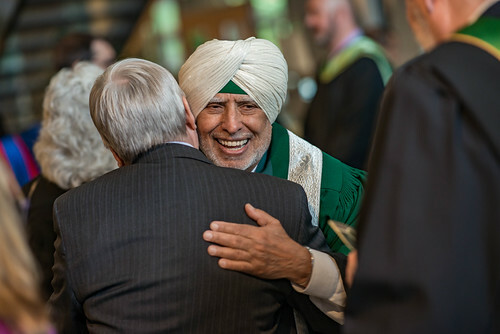 2018, as Andy Sidhu was formally installed as the University of the Fraser Valley’s third Chancellor. 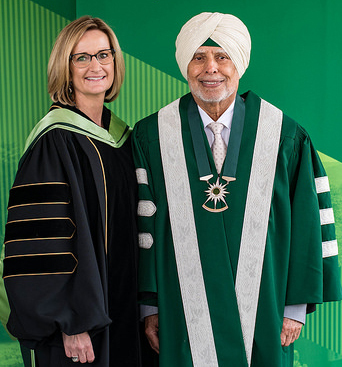 A long-time proponent of community engagement and integration, Sidhu took over from Dr. Gwen Point, who served as UFV’s second Chancellor from 2015 to the present, following two terms by Brian Minter. Interim UFV President Jackie Hogan with new Chancellor Andy Sidhu.